Our photo galleries at Bridal Dream Hawaii are constantly being updated with new photos each week. You can see hundreds of happy couples we have served over the past few years. 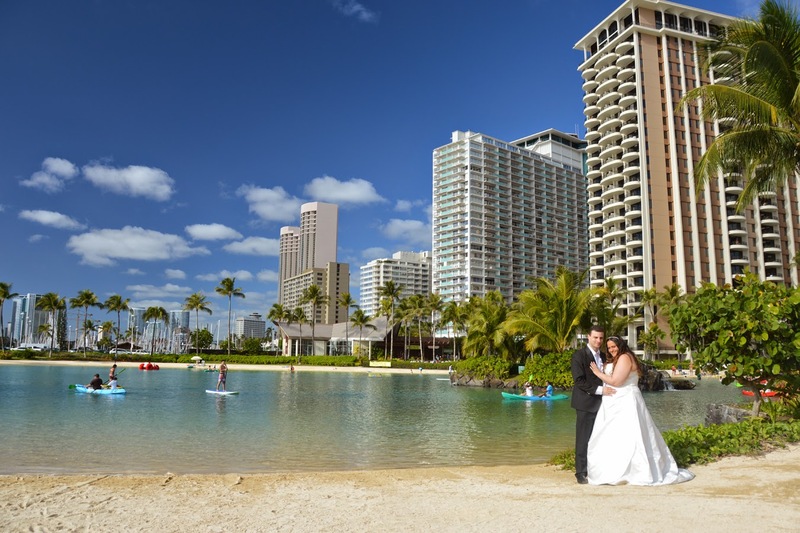 Here are the main locations we have weddings in Honolulu. Kahala Beach is our most requested wedding location, located just 15 minutes from Waikiki, and not crowded compared to most other wedding locations. 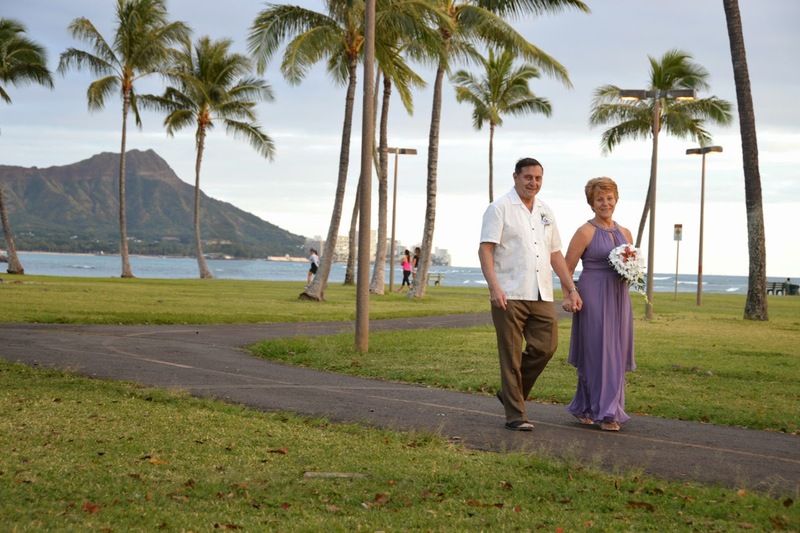 For couples staying at Hilton Hawaiian Village, you can just step outside your hotel and get married on the beach. Magic Island is just a few minutes from Waikiki, across the street from the famous Ala Moana Shopping Center. We like the Photos at this location because of the scenic view of Diamond Head and nice sunsets. Diamond Head Beach is located just 5-10 minutes from Waikiki, and hardly a soul to be found on this secluded beach. Kakaako Waterfront Park is located just 15 minutes from Waikiki. Beautiful grassy hills by the ocean with few people around for your secluded wedding right in the heart of Honolulu. Wedding Coordinator Robert Hamilton is happy to give you ideas on Wedding locations and optional ala carte services such as Wedding Photos and Video, and a Wedding Musician to serenade your special event. 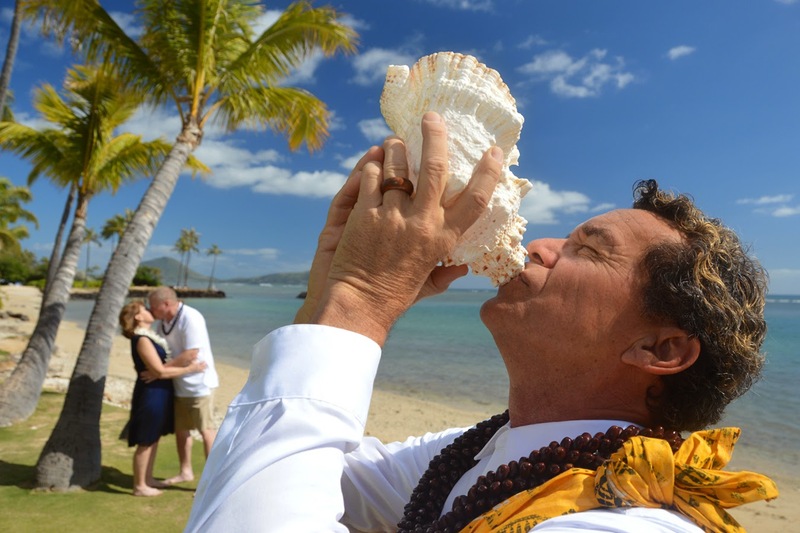 Please email us to begin planning your Beach Wedding in Hawaii. Let us know your desired Wedding date, time and location, and as many details as you can provide. Let's begin now and see your Wedding on our CALENDAR today!